Jack Dorsey has no stake in upholding the dignity of India’s Parliament. Our parliamentarians, on the other hand, are sworn to it. An important committee of Parliament of the world’s largest democracy has got into an unnecessary controversy with Twitter over an unimportant issue. The Parliamentary Standing Committee on Information Technology, like its 23 other counterparts, is a forum where serious legislative business takes place. Unlike the sessions of Parliament, the unruly scenes of which we regularly see on television, parliamentary committees — with members from both Rajya Sabha and the Lok Sabha, and from different parties — have a higher degree of decorum, efficiency and functioning. The Parliamentary IT Committee oversees three ministries: information and broadcasting, electronics and information technology, and communications (post and telecommunications). It comprises of 21 Lok Sabha members and 10 Rajya Sabha members, and is chaired by BJP MP Anurag Singh Thakur. Over its term, this committee has reviewed the working of Prasar Bharati, the Digital India programme, setting up of the India Post Payments Bank, the functioning of TRAI, the problem of dropped calls and finally, safeguarding citizens’ rights on social media and online news platforms. Clearly, it handles weighty business concerning issues of the Information Age, and by most accounts, it has done a fairly good job of it. So, it should concern us that it has attracted controversy over what is really a trivial matter: Whether Twitter is biased against the Right-wing. This is not an issue that the IT Committee ought to have taken up. To uphold the credibility of Parliament’s committee system, it must let the matter rest without further controversy. First, regardless of the manner in which the issue is described – that of “safeguarding citizens’ rights on social/online news media platforms” – it has probably been prompted by complaints by members of the Right-wing community that they are not gaining followers, are not setting trends and are being subtly filtered out of the timelines. The observations might indeed be true, but the explanations are perhaps more ordinary. Others, especially the Congress, the Left and the regional parties, have raised their game on social media since 2014. Five years ago, the BJP and its supporters had a virtual monopoly over the discourse on social media. Today, although they are still dominant, others have caught up and are often giving the Right-wing a run for its money. Add to this, the fact that views critical of the government tend to have a natural advantage in democracies, and it is not surprising that the balance of power has changed. Also, following the 2016 elections in the United States, social media platforms have been alert about fake news, hate speech and bigotry, in response to a global backlash. This means that the influencing techniques and behaviours that worked up to 2017 might not be effective anymore. Twitter’s official response indicates as much. Second, since no one is compelled to use Twitter, those who are dissatisfied with the way they are being treated can leave. There are other social media platforms available, and new ones can be created–there are no barriers to entry or exit. Twitter, Facebook and the like might be global social media platforms, but are essentially private forums the proprietors of which have the right to set the rules of the game. Of course, governments have the right — if not always the power — to ensure that they comply with local laws, but would be crossing a line if they were to begin dictating acceptable use policies. As for free speech, there is a lot more of it on social media today than can be found anywhere else. Relative to other forms of communication and media in India today, social media offers a lot more freedom. So, the Parliamentary IT Committee’s concerns about protecting citizens’ rights on Twitter are overblown. After Twitter declined it, government ministers, party spokespersons have threatened grave consequences. On Monday, the committee reportedly decided to give the Twitter CEO a further 15 days to appear before it. Again it is unclear if this is a formal summons. If the CEO decides not to appear, then the committee faces procedurally difficult choices. The presiding officer of one or both the houses of Parliament might need to refer the matter to a privileges committee; and the government, being distinct from the legislature, cannot act without cause, and its actions are anyway subject to judicial review. In other words, it will get messy. Therefore, instead of threats of repercussions, the committee could send a formal questionnaire requiring a written submission from the CEO of Twitter, without necessarily requiring his presence. That should address both the public purpose and a bit of the political without risking a crisis of parliamentary process. It does not behove a great institution like Parliament of India to get into a standoff with Twitter on so trivial a matter. 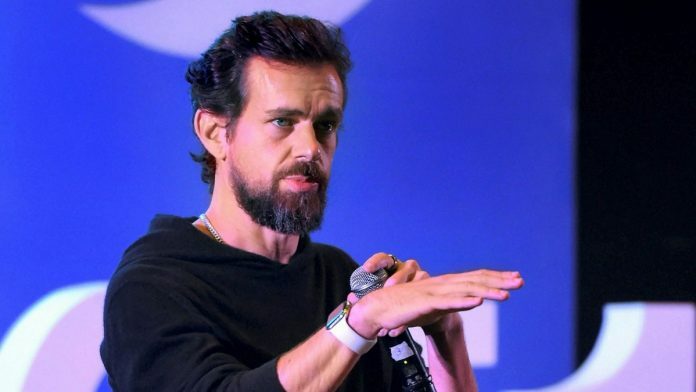 Let’s not forget that Jack Dorsey has no stakes in upholding the dignity of India’s Parliament. Our parliamentarians, on the other hand, are sworn to it.